Thank you to NISE Net Partners involved in the nano project! February is the final month of NSF funding for the Nanoscale Informal Science Education Network, which would prompt a sort-of sad note if we didn't have so many projects going on under the umbrella of the National Informal STEM Education Network. For many of us, the nano project was unlike anything we had experienced before, stretching over 11 and a half years and involving over 60 institutional partners and 2,700 individuals from museums, universities, and a range of other organizations. The outputs and outcomes of the project are amazing. Our initial NSF program director, David Ucko, says that "NISE Net has exceeded my most ambitious expectations." And it's all because of the hard work you have all done and your commitment to engaging public audiences in this new and unfamiliar field of scientific research. We are in the process now of writing final...continue reading for final project work underway and future Network project plans. In collaboration with NASA, the National Informal STEM Education Network has assembled a new set of engaging, hands-on Earth and space science experiences with connections to science, technology, and society. The Network has shipped 250 Explore Science: Earth & Space 2017 physical toolkits to eligible partners in the U.S., which include children's museums, science centers, science museums, public planetariums and observatories, and NASA visitor centers. Read more about the toolkit, its content, and view the list of toolkit recipients. Digital toolkit content is now available online for viewing and download, including planning and promotional materials, training materials, hands-on STEM activities, and a solar eclipse planning mini-kit! This online presentation and discussion provides an overview of the hands-on STEM activities in the toolkit, tips for using training materials and forming local collaborations, and suggestions for marketing your events and programs. 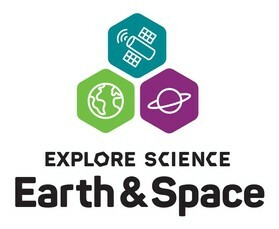 This online presentation and discussion will cover the science behind three of the Explore Science: Earth & Space 2017 toolkit activities - Ice Orbs, Imagining Life, and Pocket Solar System. Astrophysicist and science educator will also lead a discussion about astrobiology and the search for life in the universe. The online presentation and discussion will cover the science behind three of the Explore Science: Earth & Space 2017 toolkit activities - Rising Seas, Investigating Clouds, and Orbiting Objects. Space scientist and science educator will facilitate discussions around rising seas, cloud distribution and formation, and the Earth's gravity. 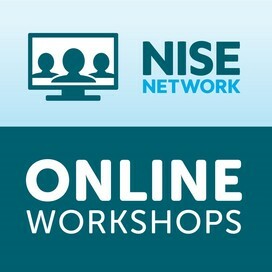 The NISE Network Evaluation group is a multi-organizational team dedicated to informing and improving the work of the Network by conducting evaluation studies that closely examine the public and professional deliverables of the NISE Network. For the second five years of the Nanoscale Informal Science Education Network project, the Evaluation group focused on conducting summative evaluations to assess and understand the impact of the Network on its two main audiences: professionals and the public. In order to learn about the Network's impact on professionals, the Evaluation group conducted a longitudinal examination of individual partners over the final three years of the nano project. This evaluation primarily included professional partners who were ISE or university professionals and explored how their involvement impacted their sense of community, learning about nano, and use of nano educational products and practices. "I didn't even know what nano was. Pretty much everything I know about nano, I know from NISE Net. And if you look at those concepts, I'm certainly able to talk about those concepts, but it is pretty much solely because of NISE Net." For more details and resources, read the full Professional Impacts Summative Evaluation Report. The Research and Evaluation team will be sending out a survey invitation soon to a sub-set of partners to ask you about your institution's Earth and space science content. The survey will be called, "Explore Science: Earth & Space 2017 Baseline Survey." We greatly appreciate your time and feedback. In July 2015, with funding from the Beaird Family Foundation, Sci-Port Discovery Center began a joint venture with the Caddo Parish Sheriff’s Workforce Re-entry Facility. While that re-entry program provides job training and skills, our Bars without Barriers program provides training on Informal Science Education techniques and activities in order to serve two primary goals. First, to raise awareness of the importance of STEM education because we work from the assumption that the offenders’ children will someday engineer the spaceships expected to carry our children to Mars. Second, that those children will be better people if their parents are involved in their lives, and the STEM activities and communication skills we teach can help those offenders rebuild whatever bonds may have been strained by their years of incarceration. One of the six program sessions offered incorporated the NISE Net's Explore Science: Zoom into Nano kit providing training about nano to offenders who then helped lead and participate in hands-on activities with their children during a family visit. Continue reading the full Partner Highlight for more about Sci-Port Discovery Center's Bars without Barriers program helping to bring families together through STEM. Over the last few years a bioengineering PhD student at the University of Pennsylvania has advised the Penn iGEM team and worked with museum educators at The Franklin Institute to help develop Building with Biology prototype activities, as well as volunteer and participate in their public Building with Biology event in summer 2016. Through these experiences this student started his own partnership with a group of teenagers at his synagogue to talk and think about the societal and ethical implications of synthetic biology research and applications. During this program, the youth group engaged in the Bio Bistro hands-on activity, excitedly discussing the benefits and potential negative outcomes of synthetic biology and its affect on society and the environment. Continue reading the full Partner Highlight to learn more about this unique way of bringing synthetic biology dialogue into a community setting. Presenters provide an overview of the Explore Science: Earth & Space toolkit that includes activities directly related to the solar eclipse, as well as professional resources, and helpful tips and strategies as you start to plan for upcoming solar eclipse events in your community. View the recording and resources of this 1/27/17 online workshop now. Presenters from NASA's Night Sky Network and Solar System Ambassadors program provide information and shared resources on how to find local experts in your community and ways to effectively collaborate with them to strengthen your astronomy and space science programs. View the recording and resources of this 1/17/17 online workshop now. Since the inception of the National Nanotechnology Initiative (NNI) going back on the order of two decades, nanotechnology has evolved from an area of fundamental research focused on understanding and exploiting the phenomena that occur at the nanoscale to what has now become a broadly enabling technology positioned to realize substantial societal and economic benefits. Read the recently published strategic plan to learn about NNI's initiatives and strategies to encourage methodologies leading to new opportunities in nanoscience technology transfer and innovation, and how the NISE Network has played a role in helping to achieve these goals. 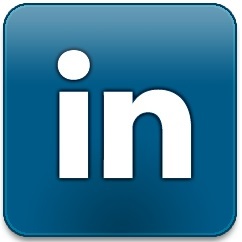 Explore the website by exploring the topic "materials, tools, and applications"